The term fever is applied to a condition of the body where the temperature has gone above the normal, which in health ranges between 98.4?P and 99.5?P or 36.9?C and 37.SoC. It has a wide application, however, and fever is one of the common accompani?ments of many diseases. In almost two score maladies the cardinal symptom is a rise in temperature and .a fever should never be considered or treated in isolation. If the temperature of the body reaches 106?P the term hyperpyrexia (high fever) is applied. It is always an indication of danger, particularly if it stays above 101?P for any length of time. In some cases, the temperature may attain the elevation of 110? to II2?P before death ensures. The onset of fever may be mild or severe depending upon the disease which has caused it or whose cardinal symptom it is. In some kinds of fever, as in malaria, there is rigor or shivering. Hot flushes, body aches and stiffness of the limbs are other features of most fevers. Modem medicine believes in germs as the causative factor in fevers and its practitioners talk of incubation periods, viruses and other organism. The main factor, however, is the predisposition of the body towards diseases, whether it is fever or pain. If that were not so, all persons exposed to an infection should get it. Naturopathy believes that fever develops in a body only when the system is in a condition of internal uncleanliness. Fever is a direct manifestation of an acute disease but at the same time it represents the effort of the body to expel the poisons which have accumulated in it. If the fever is allowed to run its course in a natural manner, the sufferer would be in better health than before after the body has thrown off the affliction. It is nature's way of spring-cleaning of the body. Modern medicine seeks to cure the fever with drugs but it succeeds only in suppressing it. There may be a seeming cure after the administration of drugs and the temperature may go down but in umpteen cases maladies more serious than fever results Most of?the chronic diseases can be traced to the suppression of acute disorders by the use of drugs. the physician thinks that his strength is to be maintained, the only result is that the course of nature is obstructed creating complications. One must not forget that anorexia-loss of appetite-accompanying most fevers is a signal from nature that the patient should not be given anything to eat. Allopaths adopt the pro?cedure in the matter of typhoid fever but fail to under?stand that it is the only method to deal with all fevers. The accumulation of poisons in the body, which results in fever, can be dealt with by making the patient fast. Only water and orange juice in limited quantities should be given. Denial of food to the patient may have to be continued for a week. Only when the temperature has dropped to 98?F and the tongue of the patient is a healthy pink should he be given food. During the fasting period the patient should be given a warm water enema daily; it should be disconti?nued after he has started feeding normally. The best and the safest way of reducing the tem?perature of the body is to use cold packs; they may be applied to the whole of the body in the case of high temperatures like those of malaria and typhoid, to the chest in the case of pneumonia, and to the throat in the case of diphtheria. A large piece of linen material or a sheet may be dipped in water, wrung out and wrapped twice round the body (in the case of high temperature) and the patient covered with a blanket. The pack on the throat may be covered with a piece of flannel. Cold or tepid sponging of the body is also recommended and if the patient can stand it he may be given a cold shower. The packs may be removed after temperature has come down to 100 F but the body should be thoroughly sponged. Mud-packs and hip baths also help. Those administering cold packs must hold on to their courage and not panic; if they do and send for a traditional physician, the patient may come to harm, because any food, solid or liquid, after the patient has fasted for some days would worsen his condition. After the fever has gone down and the tongue of the patient is no longer furred, he should be put on an exclusive fruit diet for some days. The first two days only juice of fruits should be given and then the whole fruits: oranges, grapes and other juicy fruits are the best. On the third day a limited quantity of unboiled fresh milk can be added to the diet of the patient. After he has been on a diet of fruit juices and milk for three to four days, he should be advised to sta1:t taking boiled vegetables and unleavened bread made of whole meal. 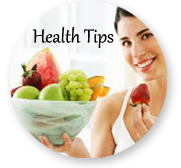 If fruits are not available during the period of convalescence, vegetable juices may be given. Soups and broths made of animal material-chicken soup etc. should be avoided.? We shall now deal with other diseases of which a fever is a cardinal symptom. Let it be stressed that the foregoing remarks would apply to all fevers 'whether they are accompaniments of chicken-pox, diphtheria. influenza or typhoid. 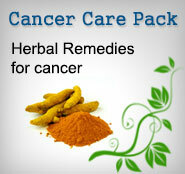 Any special precautions to be taken in the case of the various maladies are discussed under the appropriate headings. Even though the fevers dealt with here are of the more serious variety and all the ?categories have not been discussed the regimen indic?ated would help in other fevers too. Whatever the disease if there is fever present, it should be treated first. because if it is properly handled, the poisons which gave rise to that disease.will be ejected through the fever. A renowned naturopath once said: "Give me fever and I shall cure every disease." After the fever has gone down the virulence of the disease of which it was a symptom will be reduced considerably; it is just possible that the, disease may vanish with the fever gone.